Issues around security and privacy have received greater attention as the world becomes more digitized and interconnected. There are a myriad of technological advances like smart mobile devices, wearable devices, Internet of Things (IoTs), cloud computing and social networks that benefit people all over the world, transforming how they work and communicate with each other. However, these new technologies also bring new security and privacy challenges. For example, there are massive attacks by malicious malware like WannaCry that cost great financial loss to individuals and institutions. Besides, there are ample amounts of software and programs that quietly collect, share and sometimes disclose huge amounts of personal information. This book presents the current popular issues in information security and privacy, covering human users, hardware and software, the Internet and also communication protocols. The book provides a comprehensive combination of studies that offer integrated solutions to security and privacy problems. 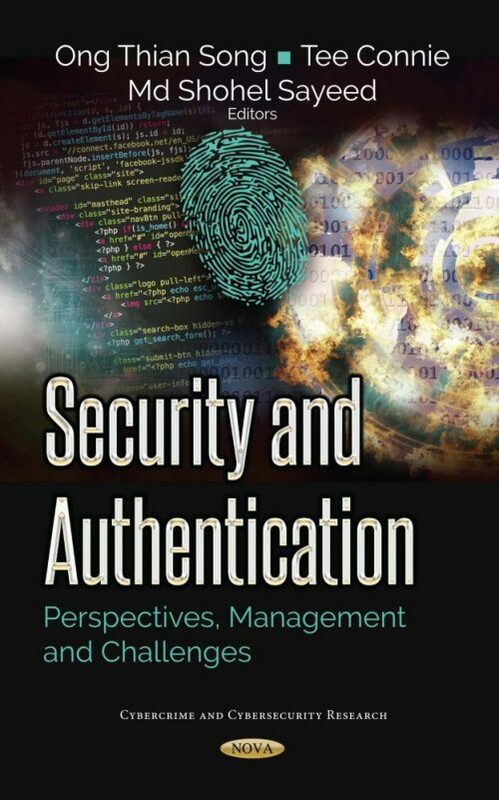 The topics covered in the book include mobile authentication systems, security in wireless sensor networks and IoTs, network-based intrusion detection systems, privacy protection in machine learning, deep learning for surveillance, and also targeted image forensics. An understanding of these areas ensures the ability to adapt to and address new challenges in the technological dependent world as these fields evolve. The primary target audiences of this book are students and researchers from security technology and information technology management. The editors have been blessed by the assistance of many people concerning all aspects for the preparation of this book. The editors would like to express their sincere gratitude to the anonymous reviewers for their professional support and dedication to reviewing the chapters of this book. They are deeply grateful for the excellent contributions of the authors. Last but not least, special thanks also go out to Nova Science Publishers for presenting the opportunity to prepare and publish this book.